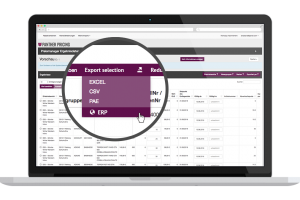 The cloud software Panther Pricing generates automated price reduction recommendations for the retail trade. Through the usage of our software, your price markdowns can be reduced by an average of 3% points. 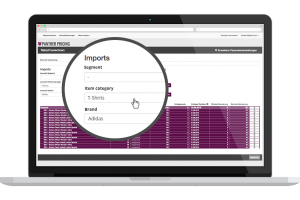 With the help of intelligent machine learning technology, we can answer the key questions regarding optimal price reduction and generate gross profit-optimized prices for you – customized for each retailer, for each item. The intelligent way of digitization – Panther Pricing – enables better decisions to be made regarding an optimal reduction of gross profit. Price elasticity and impact patterns of reductions we determine the impact of reductions, taking into account all factors that have a significant impact. How do I benefit from using PANTHER PRICING? Since September 2018 we are a technology service provider partner of unitex Verbundgruppe. Unitex is the fastest growing association group of the German retail trade in recent years. We are looking forward to an exciting cooperation! SES Imagotag - our technology partner for ESL and fashion tags. With over 150 million installed ESL systems, SES Imagotag is the global technology and market leader in digital pricing systems. Our cooperation with Deutsche Telekom created a perfect synergy between our innovative dynamic pricing solution and state-of-the-art cloud technology. In addition we join forces to build an outstanding national and international sales network. Integration Wizards is one of the leading Australian data integration and IT solution providers based in Sydney. The company provides applications, services and technical support solutions to simplify and automate business processes. We have already established interfaces to the following ERP systems. We are happy to connect further Systems - Please contact us! Book your personal and free webinar now to learn more about the applications of Panther Pricing within in your company! The focus of retail digitization must be on the intelligent analysis and processing of available data. Based on these considerations, we started the conceptual development of Panther Pricing back in 2015 and founded Panther Solutions in February 2018. The greatest earnings potential lies in the area of price markdown optimization. This is exactly where Panther Pricing comes in. 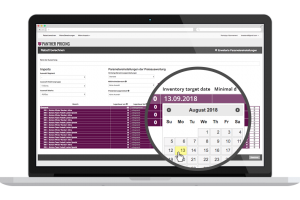 Our software enables every retailer to make the right pricing decisions and achieve the best possible gross profits from sales. Significantly optimize price markdowns through ideal price reductions while reducing process costs to a minimum.